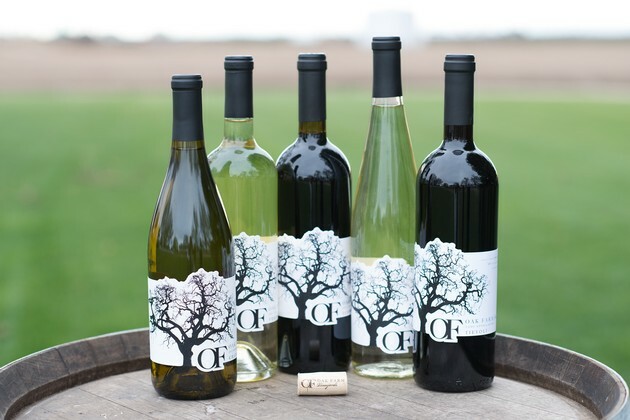 Oak Farm Vineyards is a sprawling beauty that starts with their 400 year old oak trees, but the beauty doesn’t end there. 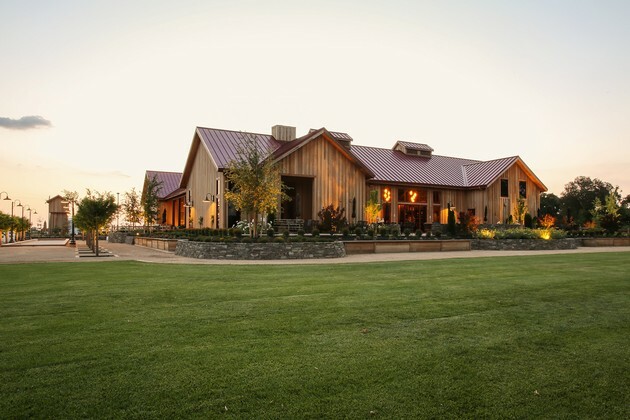 Upon entrance to the vineyard, the steel gates welcome you to an oasis of 70 acres of lush grapevines, with 14 different grape varieties; a 160 year old barn and house, where the property owners live; the new tasting room and a charming lake. 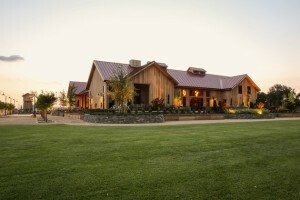 The tasting room is a magnificent blend of rustic farm and elegant architecture. 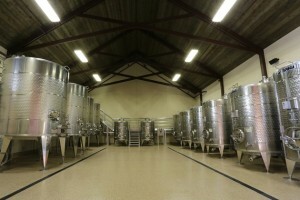 It is a spacious room with high ceilings with steel beams and stained concrete floors. The tasting bar is a masculine twist of concrete and old barn wood. The airy feeling of the space is complimented with drop lighting and a majestic stone back wall. 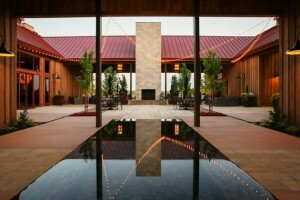 The leather furnishings speak to the visitors as an invitation to sit, relax and enjoy the rich tasting wines. After purchasing the property in 2004, Dan Panella, Owner, saw the potential of redefining the space from a farm to a venue rental property and eventually to a vineyard. Dan is a third generation farmer, his grandfather came from Italy and farmed sugar beets, cherries and walnuts_. While carting around this produce his grandfather developed an agricultural trucking company. When Dan came across Oak Farm Vineyard, this deep seeded family heritage came to life. “It just made sense to purchase the property and it made sense to produce grapes in the area and on this land.” Panella notes. 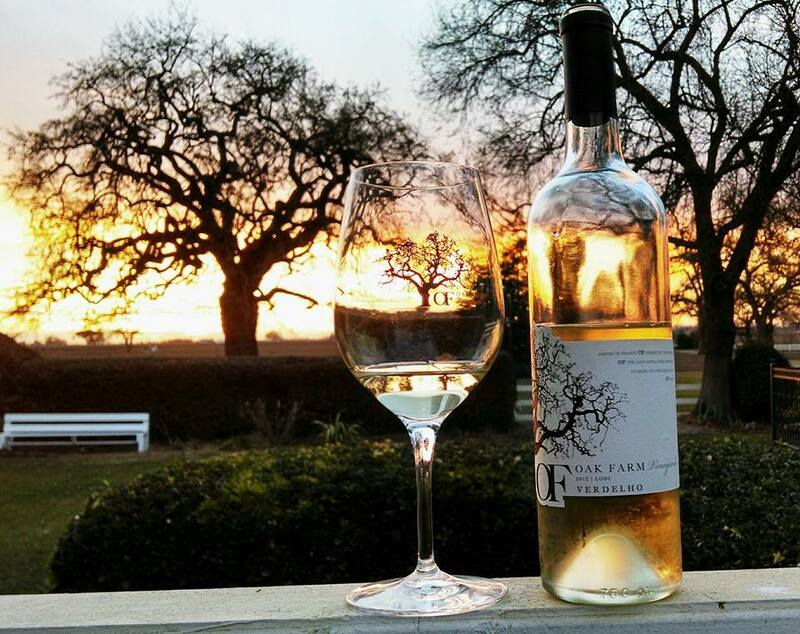 After finding a great winemaker in 2010 and developing a strategic marketing plan, Oak Farm Vineyard has grown into an award-winning winery. With their delicious wines and comfortable tasting room, Oak Farm Vineyard is worth the short drive to Lodi. 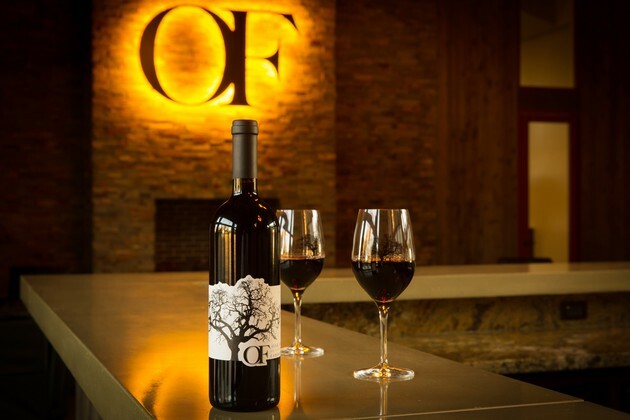 As one of the Sacramento Metro Chamber’s newest member, we are honored to have them as a partner.